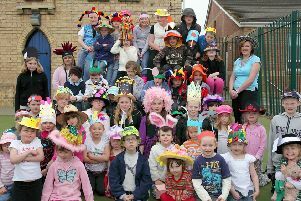 Spilsby Primary School, 10 years ago. A talent show was held at Spilsby Primary School 10 years ago to raise funds for the Parents, Teachers and Friends Association. Sophie Ellis, 11, was the winner of the Stars in their Eyes style contest with her performance of Torn as Natalie Imbruglia. It was the second time the event has been held at the school with about 15 acts competing. Pictured are the entrants to the Stars in their Eyes talent show.